For decades, collagen was the final word in lip fillers in Charlotte, NC, and beyond. Whether patients were pursuing lip augmentation with lip fillers, hand rejuvenation, or looking to reclaim smooth, youthful skin elsewhere, collagen was the obvious choice. Many modern patients might not realize that their quest for revitalized skin has a history that dates back to the 19th century when a German physician first utilized fat tissue to fill in facial defects. Fortunately, the scientific and medical communities have made significant advances since those earlier treatments, and patients interested in dermal and lip fillers in Charlotte, NC, now have a variety of safe and effective treatment options including Juvéderm® Ultra, Juvéderm® Ultra Plus, and BELOTERO BALANCE®. 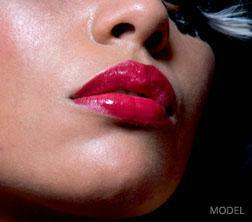 What Can Dermal and Lip Fillers Accomplish in Charlotte, NC? Everybody ages differently, meaning each patient is looking for a personalized treatment plan that might involve a combination of products to target specific problems in specific regions of the face. For example, patients seeking lip fillers in Charlotte, NC, might benefit from Juvéderm® Ultra or Juvéderm® Ultra Plus, both of which are made from a naturally occurring compound called hyaluronic acid. 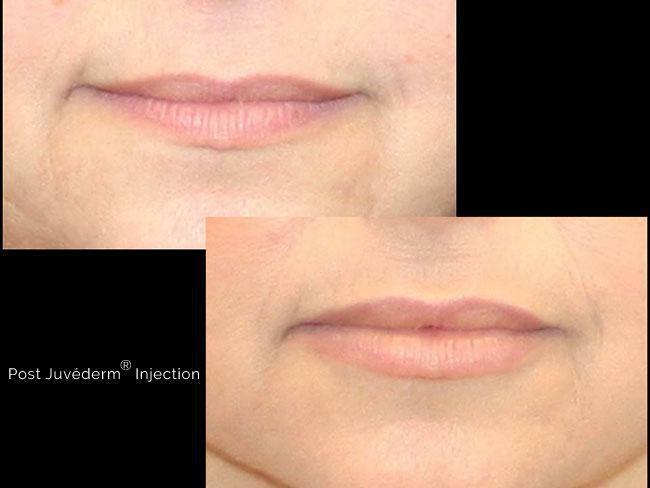 Patients whose lips have thinned over the years can regain volume with a lip augmentation treatment session utilizing one of these Juvéderm® products. Some patients develop parentheses—also called nasolabial folds—that begin on either side of the nose and form a line down to the corner of the mouth. Juvéderm® Ultra and Juvéderm® Ultra Plus were specifically designed to address the moderate to severe formation of these lines while BELOTERO BALANCE® can be layered on top for the superficial lines. Similar to the various Juvéderm® products, BELOTERO BALANCE® is made with hyaluronic acid—a protein the skin naturally produces that, unfortunately, diminishes with age. Dermal fillers like Juvéderm® Ultra and BELOTERO BALANCE® work by replenishing the skin's supply of this vital protein. Injectable fillers, including lip fillers, are among the safest, most popular, and commonly performed cosmetic procedures around the world, with hundreds of thousands such procedures performed annually. Most treatments last no longer than an average lunch break, and patients can immediately resume most activities including returning to work, running errands, and socializing. Some patients do experience redness, bruising, and swelling at the injection site for lip fillers and other injectables, although this should diminish within a few days. These issues are reduced even further by injecting the product with a microcannula, instead of a needle. It is important to remember that however common treatments utilizing dermal fillers might be, such procedures should be taken seriously and performed by a licensed and experienced medical professional. One of the easiest methods of ensuring the best possible results and minimizing risk with dermal and lip fillers is to do your research before the procedure to find a doctor and facility you can reasonably trust. Prior to any procedure or treatment, we thoroughly review each patient's medical history, including any illnesses and prescriptions. We also advocate routine skin care including, and especially, frequent use of sunscreen. Every patient is unique, and because we strive to address each patient's distinct needs and concerns, it is impossible to provide a one-size-fits-all treatment plan. Instead, we prefer to schedule a consultation to discuss the many treatment options available, including dermal and lip fillers, and provide each patient with a customized treatment plan, including a breakdown of the estimated costs. Factors influencing the cost of treatment with dermal fillers in Charlotte, NC, include the number and location of treatments, the severity of the issue being addressed, and the condition of the skin. We pride ourselves on creating a treatment plan that accommodates our patients' needs, including their financial situation. For treatments that cost more than $300, we offer six-month payment plans through Care Credit, and the $25 consultation fee is applied to treatment expenses.